Spiritual memory is crucial in the Christian life. 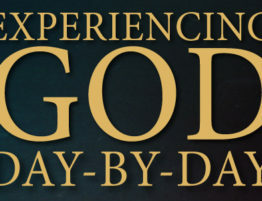 Do you vividly recall times when you know God spoke to you? It would be tragic if, in your haste to advance in your Christian faith, you neglected to leave spiritual markers at the key crossroads of your life. Without the help of these markers, you will lose your spiritual bearings. The Israelites experienced a tumultuous pilgrimage. Their doubt that God was powerful enough to give them victory cost them forty years of wandering in the wilderness. Then God miraculously parted the waters of the Jordan River so they could pass over and continue their conquest. God knew that at times the Israelites would face intimidating enemies and would need a reminder that He was powerful enough to protect them. The Israelites might be tempted to think they made a mistake entering Canaan. For this reason God instructed them to build a monument on the banks of the Jordan River. Whenever they returned to this spot, they would see the monument and be reminded of God’s awesome power. This marker would give them confidence to meet the new challenges they faced. A spiritual marker identifies a time of decision when you clearly know that God guided you. Can you remember the moment you became a child of God? Were there specific times when He called you to His ways of living? Can you point to times when He clearly guided you in a decision? Were there times when He spoke powerfully to you about a commitment you should make? Keep track of these important moments! Regularly rehearse them and notice the steady progression in the way God has led you. This will help you understand God’s activity in your life and give you a sense of direction as you face future decisions.